Spitfire: Spitfire Course Open - Buggies available. Hurricane: Hurricane Course Open - Buggies available. 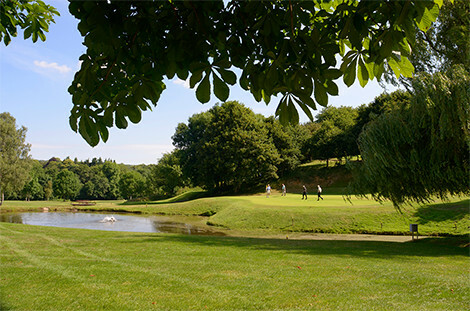 A family run golf course since 1995, West Malling Golf Club offers two excellent 18 hole courses, a well - appointed club house, practice facilities and golf shop for both members and visitors. The two golf courses, Spitfire and Hurricane, named in honour of the iconic fighter planes that flew out of the nearby airfield at West Malling during the Second World War. Spitfire Par 70 and the Hurricane Par 67 offer a challenge for all standards of golfer. Complemented by two putting greens, a covered eleven bay driving range, practice chipping and bunker area.